On Nov. 24, 2018 a One Girl workshop was held in Veritas Café at Wilfrid Laurier University. Run primarily by Lindsey Feltis, a Laurier psychology and communications alumna of 2018, this event served girls aged eight to 13-years-old. One Girl is a series of workshops held to encourage girls to realize their full potential and to build confidence. One Girl is part of something bigger, called One Woman; a global social enterprise, which means it is a business, however any money is reinvested into women in developing countries. It’s an opportunity for women and girls to empower other women and girls around the world, giving them access to things such as education. 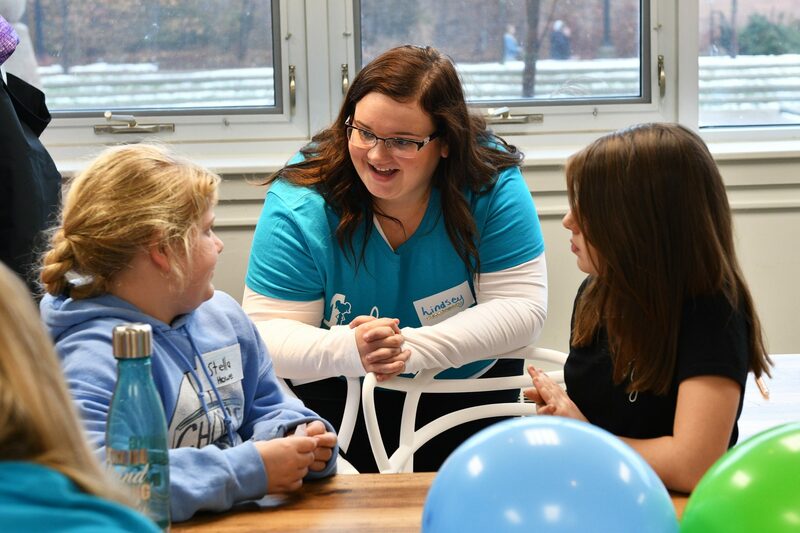 At this point, One Girl is still establishing itself in the Waterloo region, so this past Saturday they combined workshops to include girls of the entire age range and had 25 sign-ups. There are generally two workshops, “One Girl — Inspired” for ages eight to 10 and “One Girl — Encouraged,” for ages 11 to 13. At the workshops, which are held monthly, they start off with registration and by making name tags, then continue with explaining what One Girl is and the values of One Girl — to create a safe space for girls to engage in open dialogue and fun activities surrounding topics, such as self-compassion and mindfulness. Lindsey Feltis herself is currently pursuing her masters in developmental psychology here at Laurier. During her undergraduate degree she took on many leadership roles such as being an icebreaker, Laurier ambassador, Five Days for the Homeless coordinator and ambassador coordinator. She found the position with One Girl and fell in love with the passion behind the program and the goals of Sharla Brown, the founder of One Woman. Brown has the belief that women all over the world have similar struggles and just want to do good, be good and be empowered. This question drew shock from the women leaders in the room, in particular, in that something so serious could be on the mind of a girl so incredibly young and vulnerable. “For me to be able to work with girls aged eight to 13, which is a crucial and vulnerable age, to be able to teach them skills, teach them about self-compassion and teach them how to be a leader is pretty cool. [It] makes me wish there was something like One Girl around when I was eight and 11 and 13 and struggling with self-esteem or body image,” Feltis said. A key element of One Girl is the idea that being a girl can be really challenging and young women are often full of insecurities. “It can be tricky being a girl, period. I think for me it’s acknowledging and admitting that I too as a woman struggle and have insecurities. I grew up with anxiety and ADHD and that made things challenging sometimes, so the fact that I am now being given a platform where I can talk about my struggles and help girls overcome theirs is incredible,” Feltis said. When asked about being a good mentor, Feltis emphasized the need to find out how you can take who the person you are mentoring is already, embrace it and ignite a passion. It displays the necessity organizations like One Girl and One Women to be in our neighbourhood. “I try to leave people and places better than I found them, so I think at the end of the day, being a mentor is about leaving people stronger, better and more inspired than when we found them,” Feltis said.